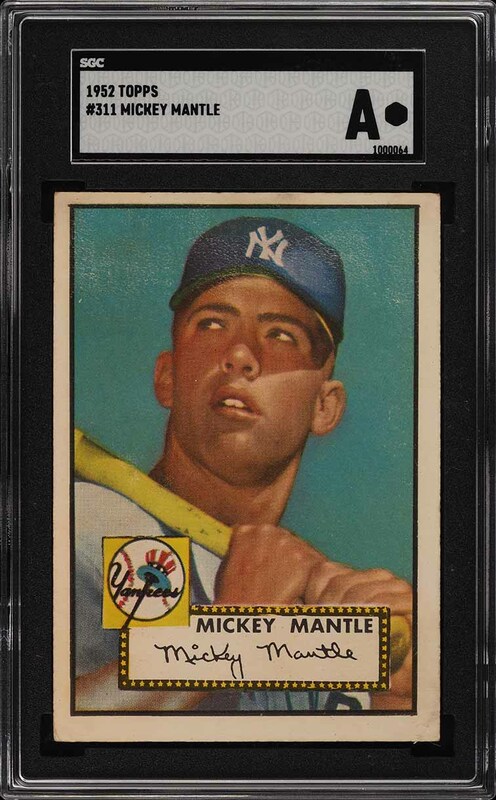 Beautiful '52 Topps Mantle for the assessment, showing mostly VGEX qualities. 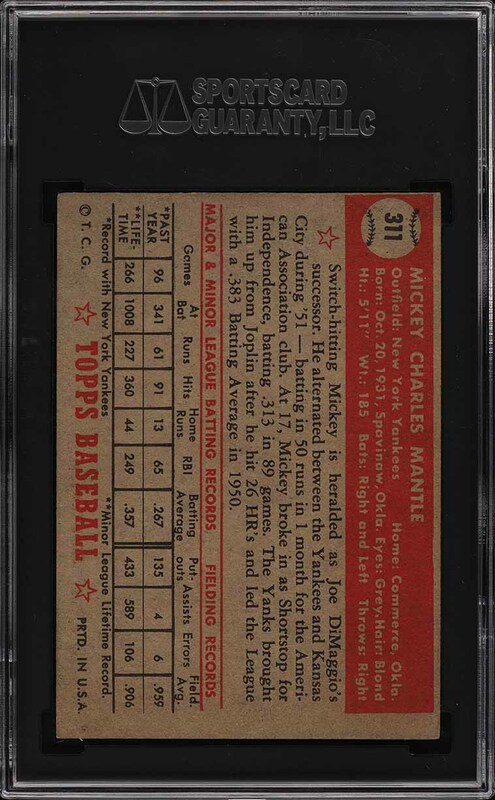 The offered specimen displays extraordinary centering for the condition sensitive kick-start to the high-number series. The card possesses clean white borders with attractive edges and four well formed corners to boot. Maintains a wonderful image of the legendary Yankee with some faint surface wear just above Mantle's forehead. This card was previously assessed by PSA as being Minimum Size before being holdered by SGC as Authentic. The card measures about 1/16" short top to bottom which accounts for the minimum assessment. This grade means the card was originally like this from the manufacturor and is completely unaltered. Deserving of attention. One of over 17,000 cards, lots, and sets up for bid in our 3rd Auction of 2019. Click on the link above to view the other PWCC auction lots. The PWCC Vault is now live! Open a PWCC Vault account and receive a custom Vault shipping address. Purchases shipped to the Vault receive free shipping and reflect Oregon's 0% sales tax rate.